Get ground handling services at Ahmedabad Airport, India at the most competitive price. Send a query. Distance & Direction from City: 8 Kms. 45° from Ahmedabad Railway Station. Aviation Services India through its tieups with best ground handling companies makes available ground handling services at Ahmedabad Airport (VAAH/AMD), India to all Private Jets, International and Domestic airlines. 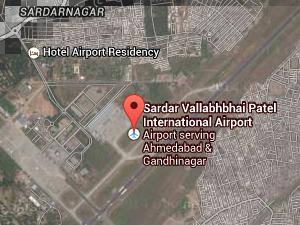 Contact us for best ground handling companies, at Ahmedabad Airport (VAAH/AMD), India. Ahmedabad is the largest city and former capital of the western Indian state of Gujarat. It is the administrative headquarters of the Ahmedabad district and the seat of the Gujarat High Court. Get ground handling services at Ahmedabad Airport (VAAH/AMD), India. Send a query.